These two daisies are based on one of my own photographs. 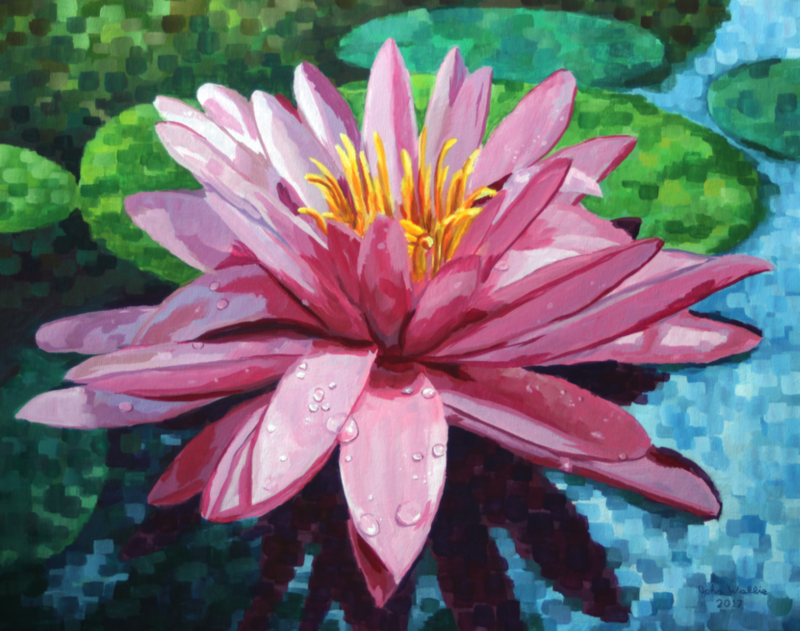 Size 24" X 18" X 7/8"
This water lily painting is based off a photograph by Mandy Roberts. 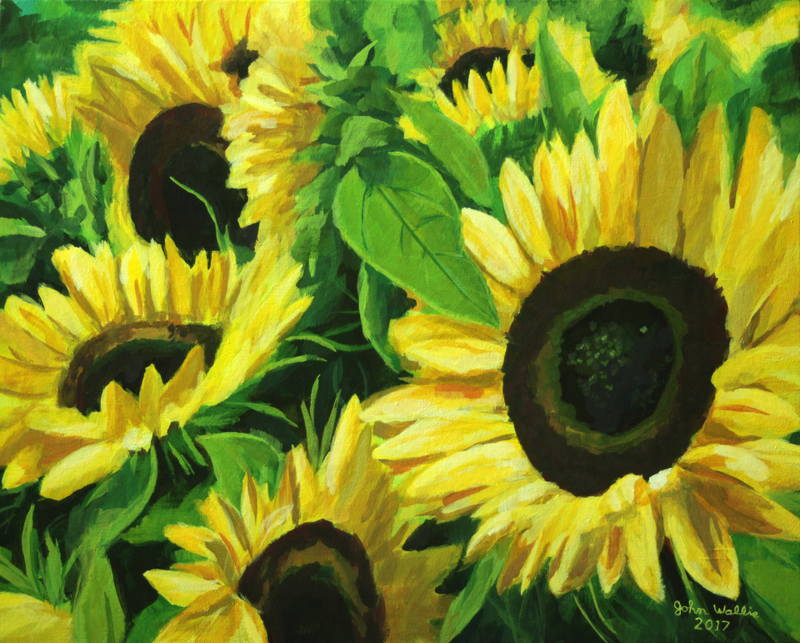 Size 28" X 22" X 7/8"
This sunflower painting is based on a photograph by Sanne. 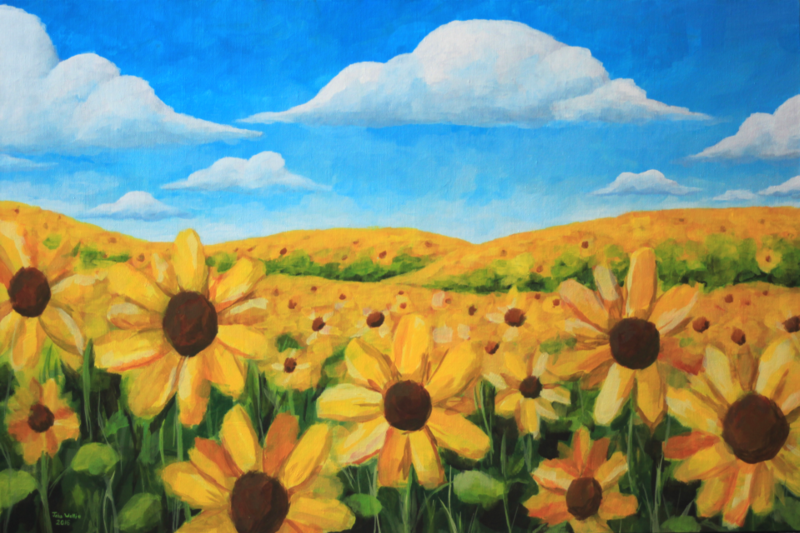 Size 20" X 16" X 7/8"
An impressionistic painting of a field of sunflowers. Size 36" x 24" x 7/8"